Our Ph.D. program field faculty consists of 91 economists drawn from the Economics Department and other departments and colleges across the university, offering students many opportunities. Students can focus their doctoral research on a wide range of economics-related topics provided at least two Ph.D. program field faculty members approve the topic and agree to supervise the student. To view our Ph.D. program field faculty, click here. The department is proud to support and promote the work of our Ph.D. students who are seeking employment following the completion of their doctoral program. 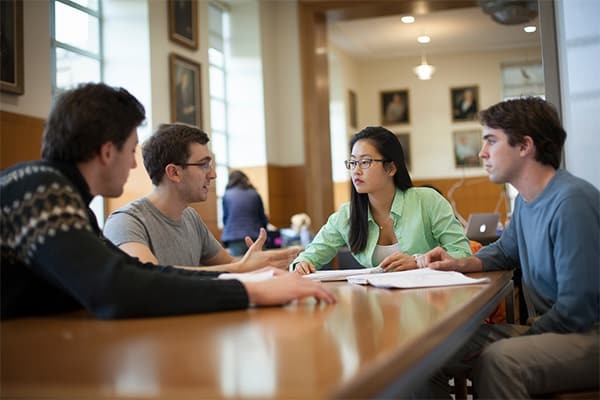 At Cornell University, economists are trained in many departments, schools and colleges, and as a part of multiple graduate fields. All Ph.D. job candidates with training in economics are listed here. The following websites include the subset of students who are receiving their degrees in Fields outside of Economics: Field of Policy Analysis and Management and Dyson School of Applied Economics and Management. Click here to learn more about our Placement Committee.